You guys… I don’t even know where to begin to describe how incredible Katie & Patrick’s wedding day was! It was literally so gorgeous! We started the day off at Katie’s parent’s house for getting ready & details! Katie had some stunning details that were a blast to photograph. Her Vera Wang dress which she purchased in Chicago was so stunning & unique. It looked amazing on her! Also, Katie’s flowers are some of the prettiest flowers I’ve seen! The room we took the getting ready photos had beautiful light and the walls went perfectly with her wedding colors! Thankfully, the bridesmaids were totally okay with cramming on the bed for some fun shots in their robes! Those girls were just so much fun! Katie & Patrick’s whole bridal party was seriously a blast! We spent most of our time during bridal party photos laughing! Katie & Patrick shared a sweet first look under this beautiful pergola in downtown McPherson, KS! It was such an adorable little spot! They were married at the First United Methodist Church which was decorated beautifully with gorgeous floral arrangements. After the ceremony, a trolley took the guests over to the outdoor reception at Katie’s grandparent’s house! The reception was seriously stunning!! It had a very intimate & garden feel! We didn’t even realize at first that it overflowed into the pool area which was decorated beautifully with more floral arrangements! Plus they had some delicious looking little desserts over there as well! To say I was freaking out over how amazing everything looked is an understatement!! They even had lights strung up all over the place & a chandelier hung over the dance floor! To top off their perfect day the sun finally made an appearance at sunset. 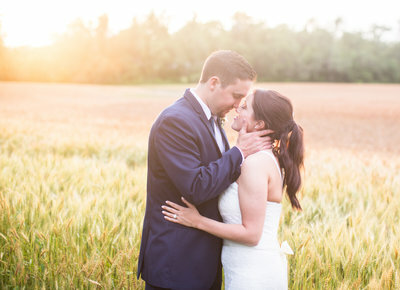 So we quickly rushed over to a nearby wheat field for some gorgeous portraits! I’m so obsessed with the photos we captured in the 10 minutes we took sunset portraits! Katie & Patrick seriously stole my heart! They’re such a sweet could and you could just feel the happiness between them! There are so many things I LOVED about their day. But one of the funniest surprises was that Katie arranged for Willie the Wildcat to make a guest appearance! Everyone ( including us since we are K-staters) was SO excited! 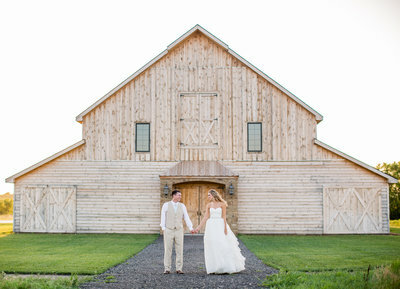 It really was such a fairytale wedding! We’re so incredibly honored we were able to capture it! 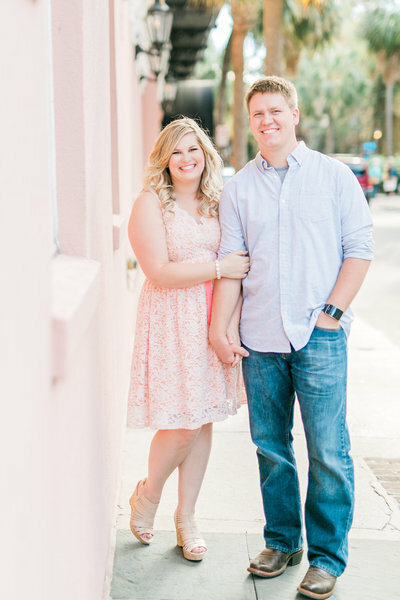 I hope you love their photos as much as we do!!! This is a new fav wedding for sure! Interested in booking Moments of Grace as your wedding photographer? See more about the wedding experience here! Beautiful bride, beautiful wedding! Congratulations!